Marvin is a semantic text annotation tool that uses various external sources to annotate imputed text. Marvin text annotator can be also used as a java library. Marvin currently supports tagging using Wordnet and DBPedia (linked data version of Wikipedia). 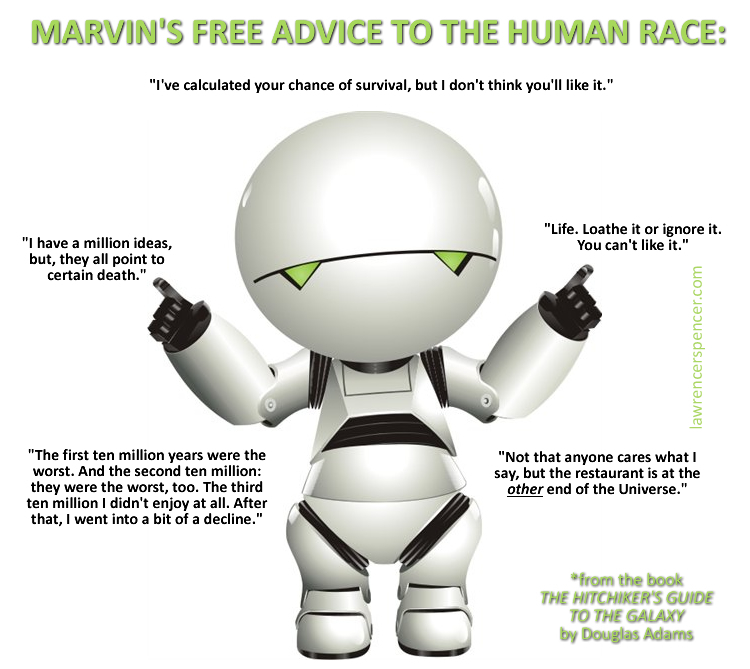 So our small Marvin semantic annotator already has a lot of knowledge, which will make anyone probably depressed and therefore we gave him a name with reference to Hitchhikers guide to the Galaxy depressed robot. has to be changed with the correct path within the machine where Wordnet is installed. There are no other requirements for the installation. java -jar Marvin.jar "Sentence to be semantically annotated." In order to run Marvin semantic text annotator as a library, you need to also to install WordNet on a used machine and then include the Marvin.jar file into your Java project. Having trouble with this project? Contact nikola.milosevic@manchester.ac.uk and we’ll help you sort it out.